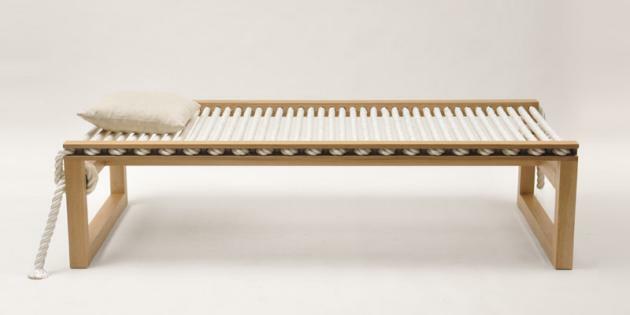 Bruce Marsh, a Brooklyn based designer and furniture producer, has created the Lauren Daybed. Loosely based on a classic woven reed beds you can find in many parts Africa, Asia, and South America. The soft, 1″ thick, nylon rope gently supports and flexes each contact point on your body, creating an almost massage-like feel. 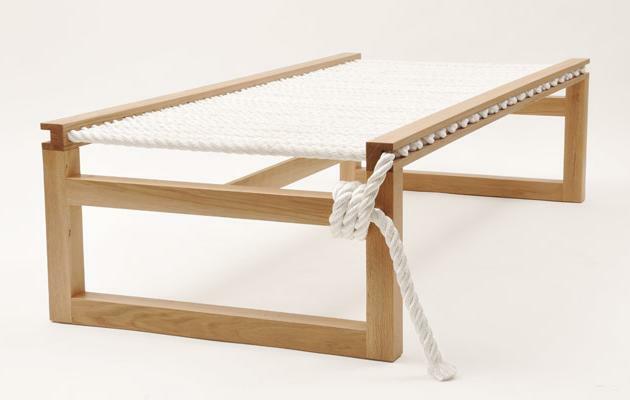 A single piece of rope is threaded through the entire bed, allowing each strand a give-and-take with the various parts of your oh-so-sleepy body. Visit the Bruce Marsh website – here.